As I mentioned before, my cheap little machine died on me. I have since taken it to a repair shop. While there, I perused some of what are considered to be THE best machines out there: Bernina. I am leaning towards the Activa 230. I didn't get a chance to test drive one because I had my monkey with me and she's all sorts of trouble these days. Typical toddler trouble, of course, but it makes things a little harder to do! 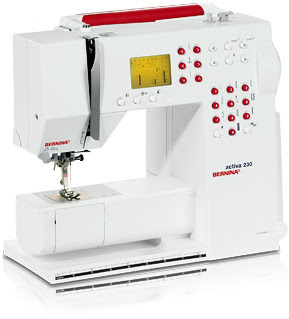 Anyways, the sales lady showed me the basics of one of the Bernina's and I've studied up on it and well, I want one. Just one problem-it costs an arm and a leg, perhaps 2 legs! I've already allocated some money to the new sewing machine fund and have plans to save towards buying one of these machines but will definitely do some more research in the meantime. Maybe there is something else out there . . . It is quite overwhelming to try to decide on a sewing machine. There are so many brands, some good and some bad, so many options, different price points. . . it can make your head spin. I thought I'd share a bit about what I've discovered along the way in case any of you are in the market for your first sewing machine or maybe an upgrade like me. 1. I keep reading this over and over: stay away from machines you get at big box stores (Walmart, Target, etc). They simply aren't made to last. I can attest to this from personal experience. If you just want something to use once in a while and don't plan to do anything heavy duty, you may be alright with a "mass market" machine. Sears and their Kenmore line may be an exception. I am seeing positive things about those machines and may look into those if I decide I can't bear to spend as much as the Bernina will cost. My current machine falls into the mass market category. It was very inexpensive, had decent features for a beginner's model but it can't keep up with me. Also, since I didn't buy it from a dealer, there is no one to turn to in case of questions, problems, etc. Luckily, it's under warranty and will be fixed with no charge to me but I had to drive over an hour away to find someone who would work on it. 2. If you want to buy from an authorized sewing machine dealer you will have trouble doing research on prices. For some strange reason, dealers can't advertise prices on their websites and the manufacturers don't either. Pricing is a big, stinking mystery. I don't like it! I mean, even car manufacturer's give you a suggested retail price to work with. To give you a general idea-think about $600 and up for a very basic dealer model. The benefit of paying these higher prices is support. You will most likely be offered free classes while you own the machine, will have someone to do any necessary repairs, and will also probably be able to trade it in if you decide you need something bigger and better! Some of the popular and well recognized brands besides Bernina are Pfaff, Janome, and Husqvarna Viking. 3. Another option is buying a used machine. I think this works best for people who live in bigger cities and have more to choose from. Some dealers sell used machines (probably machines that were traded in) and will be under some type of warranty. With this route, you can get much more machine for your money. You can also keep an eye out for vintage machines at thrift stores and estate sales. Old machines are workhorses and will last a lifetime. Here are some links for more (and much better) info in case you are interested! Out of curiousity and for the sake of research, what do YOU sew with? Let me know! I sew with a "Big Box" store Brother. I like it b/c it's basic but at times I really need something heavier duty. You're right, good machines cost an arm and leg (or more). 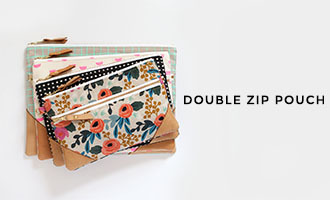 For now, with the limited time I have to sew I'll stick with my cheapo. If I ever get hot and heavy into it I'll definetely have to upgrade. Good Luck! Hey, Jennie! I was pretty content with my Brother-got it from Buy.com for a hundred bucks. But the more I get into bag making, I realize it couldn't do what I wanted it too. And then I apparently killed it!!! I went into major sticker shock when I realized what a "good" machine cost. I don't even what all those embroidery features but they seem go along with the ones I DO want. 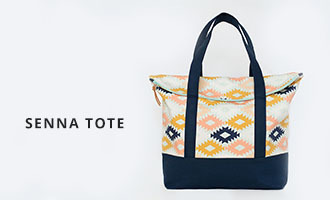 I came across a give away on Sew Mama Sew today!!! (on my link list) It's for a Husqvarna Viking Emerald machine. . .Nice! Go enter. If I don't win, maybe you will. ok, text me the price. I love my Janome... it's a tough machine. Target has a 90 day return policy. You won't get that in a sew store. If you can, look for a needle up and down feature. Give Target a try... they have them on line... you can pick up and return to your target store. i use to sell sewing machines.